Google’s goal is to provide users with the most accurate results in the fastest possible way when searching online. So today I will be sharing some tips on how to achieve this in a quickly and easy way… plus it’s FREE. Page speed is surely a ranking factor that’s gaining more importance update after update. Google made it clear in a few occasions that page speed is a ranking factor and still many webmasters don’t optimize their sites for speed. Users to recommend or share your site. How to improve your page speed problem? There’s a few ways… but I would suggest to analyze your site speed before making any unncessary changes. Here’s a Free Page speed tool I use https://varvy.com/pagespeed/ this page will pin point the elements of your site that need some improvments. Use a caching service or plug-in (WP Super cache or W3Total Cache). If you have a lot of images on your site and you cannot improve performance with the recommendations given by the tools mentioned above you can consider using a CDN (Content Delivery Network) service such as Max CDN, Cloud Flare or Amazon Cloud Front. Sometimes technical issues may drive us crazy, nevertheless it is very important that users get a positive experience when visiting your site. There’s nothing more annoying than visiting a page that loads extremely slow. We know you can do it. 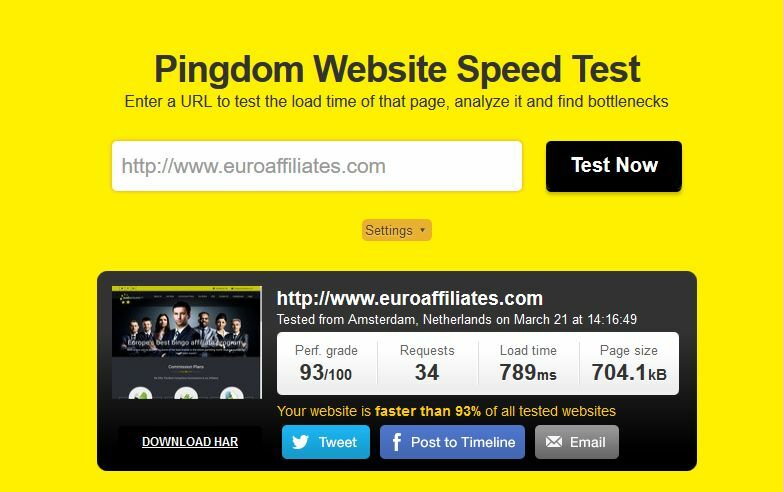 We’ve done it and here below is a screenshot of our results after improving our pagespeed. Also, remember that Page Speed is a Ranking factor for SEO and should not be neglected. Follow the steps above and you’ll be on your way to faster and better user experience. If you can’t or feel that this is too complicated to apply, ask someone to help you out or hire a web developer.